If you work out in Charlotte, NC don’t miss the 3rd annual BootCamp to Beat Cancer this Saturday JUNE 11 at 8:00AM. I wish I could be there to support, but instead will count on all of you to help my good friend Ashleigh raise money for a cause very close to her heart! Great instructors, including Mary Dare Mayeux and Mary Queen will be there! This is a client inspired strength work-out I am SURE you will love :) You can only blame me for parts! 1 mile warm up of choice! Finish with a good stretch OR if you are looking for an extended work out, go 1 mile of choice, then stretch! The bosu is one of my favorite pieces of equipment! There are so many different things you can do- and its more challenging than a solid surface. 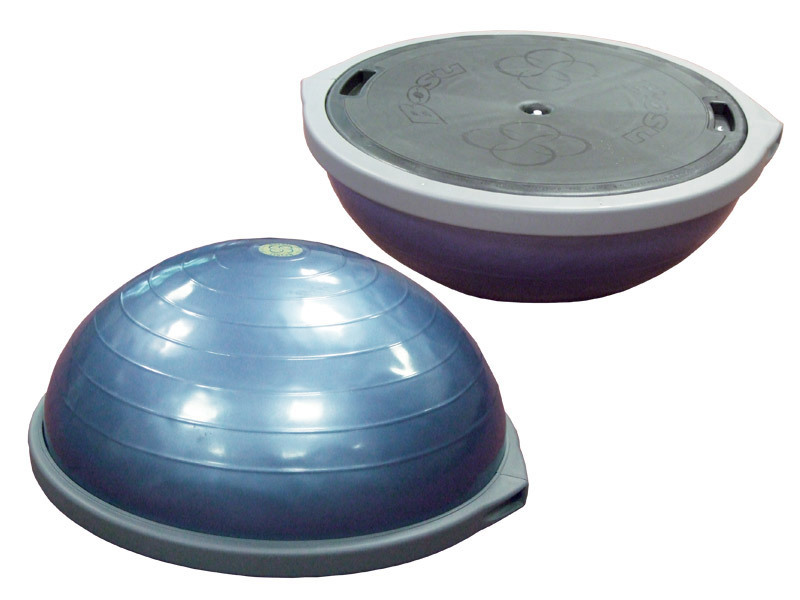 If you have never used a bosu before- its the blue “half ball” that has a flat black bottom. Always be sure if you are putting your feet on the bosu- they go towards the center dot. 4x, 20-15-10-5 reps by set!